If you’re reading this, it means you want to design a workout routine for yourself. Awesome! And we’re not talking about just any workout routine here. No, we’re talking about designing the most effective, most efficient, fastest working, maximum-results-producing workout routine possible. You know, the one that will work best for you, your body, your experience level, your preferences, your schedule, and of course… your specific weight training goal. Figure out your goal and training status. Before you can do anything, you need to decide why you’re working out. Meaning, what’s your specific goal? 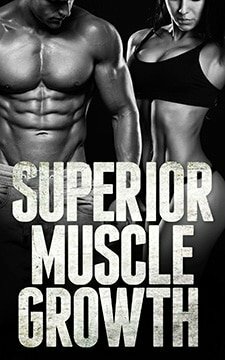 Building muscle? 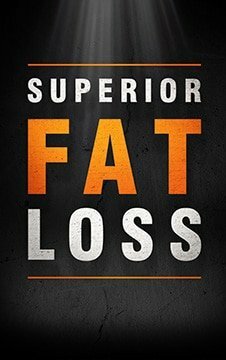 Losing fat? Increasing strength? Getting “toned?” Whatever it is, you need to know it beforehand. You also need to know what your training status is… beginner, intermediate or advanced. Many aspects of your workout routine will need to be tailored to your exact goal and experience level in order to be as effective as possible. Figure out your ideal weight training frequency. Workout frequency refers not only to how often you’ll work out, but also how often you’ll work out each muscle group, body part and/or movement pattern over the course of a week. Choose a workout split that fits your ideal frequency AND schedule. Once you’ve figured out what the ideal workout frequency is for you, the next step is to pick a workout split that not only allows for that ideal workout frequency to be reached, but a workout split that will fit perfectly within your daily/weekly schedule and life. Figure out your ideal weight training intensity. Workout intensity basically refers to how hard you’re going to be working. Meaning, how much weight will you be lifting, how heavy or light is that weight for you, and how many reps will you be able to lift it for? Figure out your ideal weight training volume. Workout volume refers to the amount of work you’ll be doing. As in, how many exercises, sets and reps will you do per muscle group, per workout, and per week? Choose your exercises and properly implement them. Once you know how much volume you’ll be doing, the next step is to select the exercises that are most ideal for you and then properly implement those exercise into your workout routine. This final step involves bringing the 6 previous steps together along with the remaining requirements that must be in place in order for it all to work. Specifically, some form of progression and a diet plan that supports your goals. Fitness Goals – What is your workout & exercise goal?